We have some new socks available! 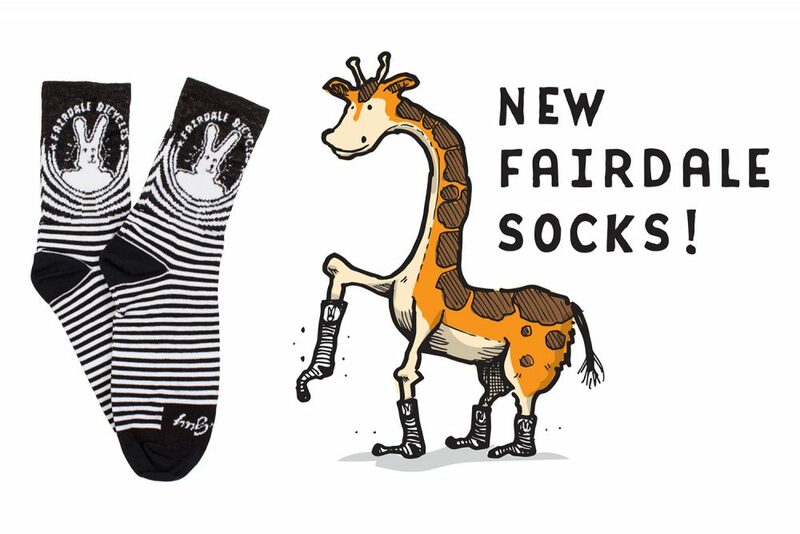 They work great for giraffes* and humans! Get a pair now or browse our online store for more Fairdale apparel. *Well, maybe not giraffes… we haven’t actually checked yet.